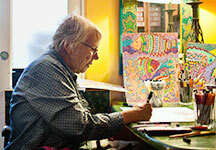 How Jim Coddington ’74 solved a Jackson Pollock mystery. 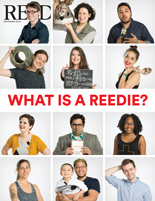 What is a Reedie, Anyway? 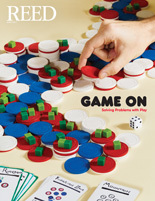 12 brand-new grads discuss their quest for knowledge. 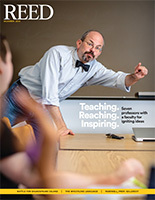 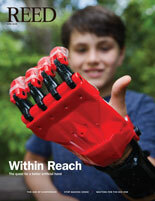 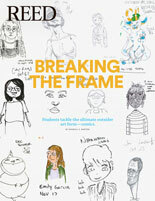 Defying all predictions, Reed's independent student newspaper celebrates a century of print. 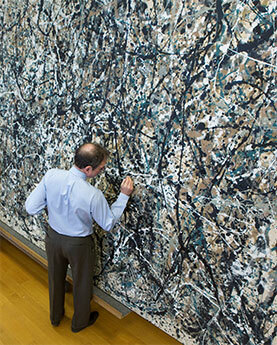 Jim Coddington ’74, the Museum of Modern Art's chief conservator, comments on the restoration of Jackson Pollock's One: Number 31, 1950. 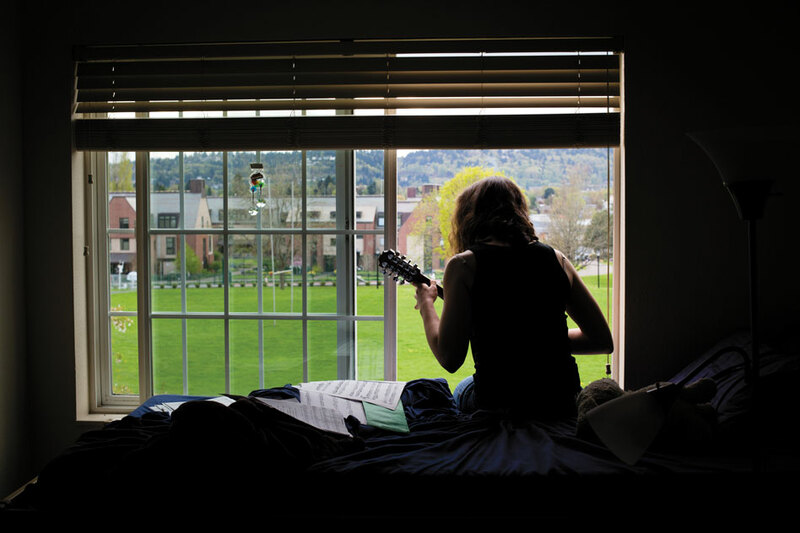 Environmental studies major Katie Halloran ’15 plays the mandolin in her Naito dorm room.